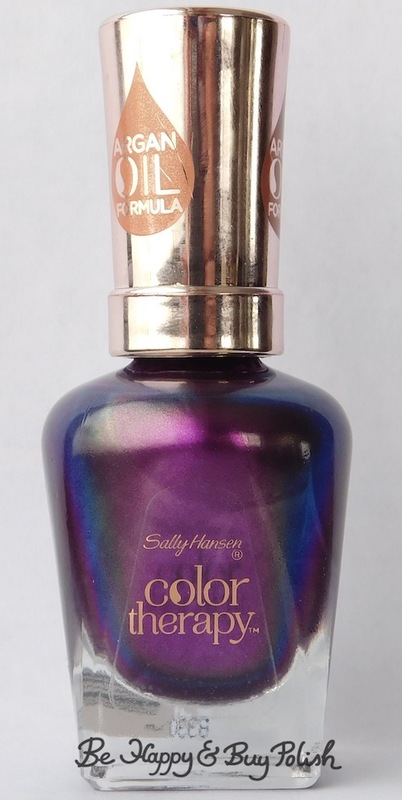 I am excited for two things: it’s Sally Hansen week and I have a project coming up that’s been in the works for some time that I get to share with you! I don’t know if this is an older polish or a newer polish; all I know is that I was wandering Target beauty aisles (as one does) and came across it. I really wanted to love it because, damn. Look at it in the bottle! I did use this by itself but there was literally almost no difference between over black and not, except over black is a bit richer. Yes, it’s pretty but not as pretty as I thought it would be. Womp womp.